Prince Charlie Jackets by Kilt zone adds traditional touch to your attire. Prince Charlie Jackets is the Scottish traditional attire. 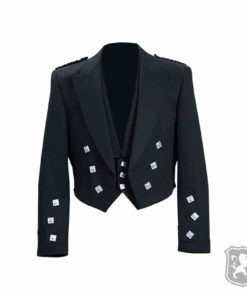 Prince Charlie Kilt Jacket can be worn on dinners, reception, balls, weddings, evenings or parties. Prince Charlie is most loved Kilt Jacket. Our experts are trained in making excellent quality Scottish Jackets. 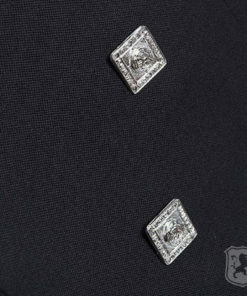 Premium fabric is used in making these Jackets. These Prince Charlie Jackets are purely custom and handmade. 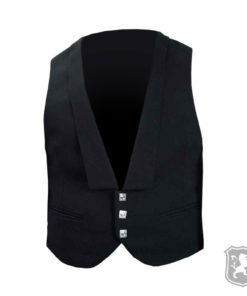 Delivery Time: It us around 10 business days to manufacture and ship Prince Charlie Kilt Jacket.